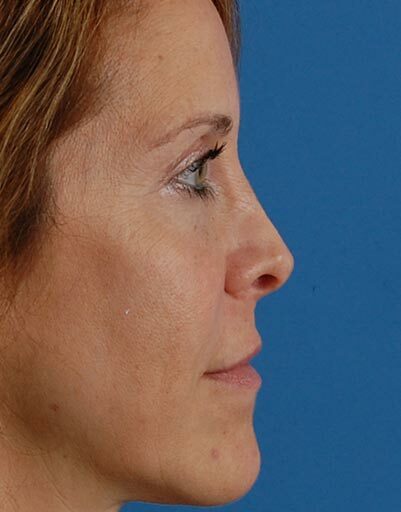 Mrs. P. had a septorhinoplasty performed many years ago with a typical profile reduction and tip cartilage volume excision. 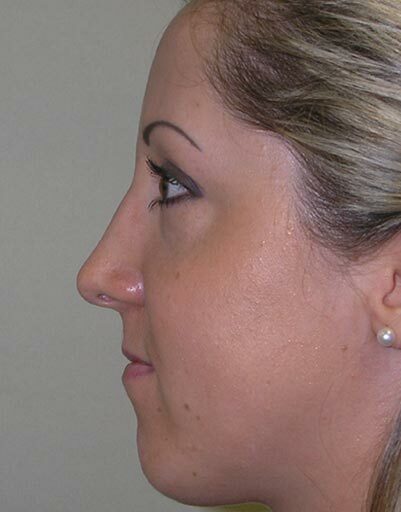 While this procedure can be perfect for some patients, weak tip cartilages can buckle as a result and form visible knuckles, known as bossae. 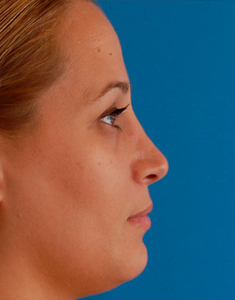 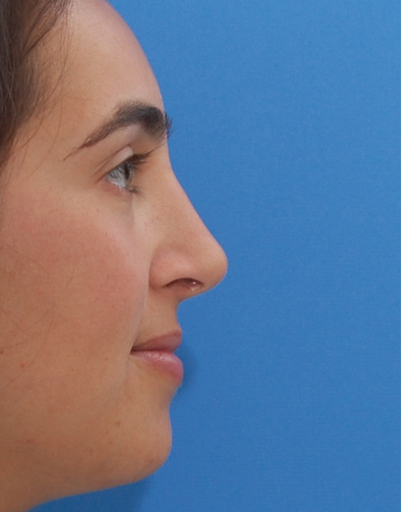 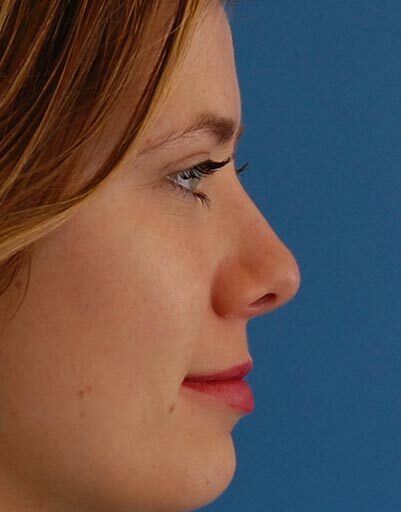 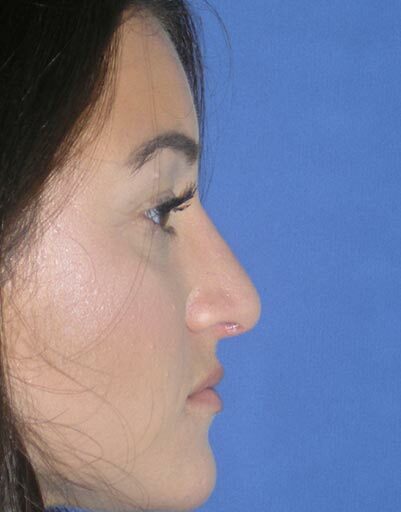 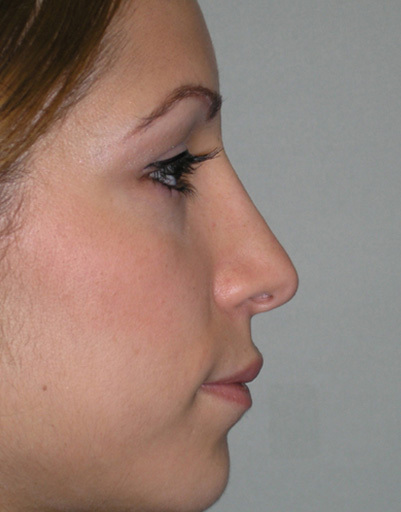 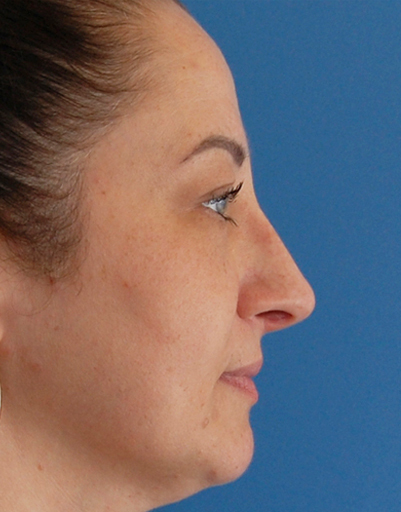 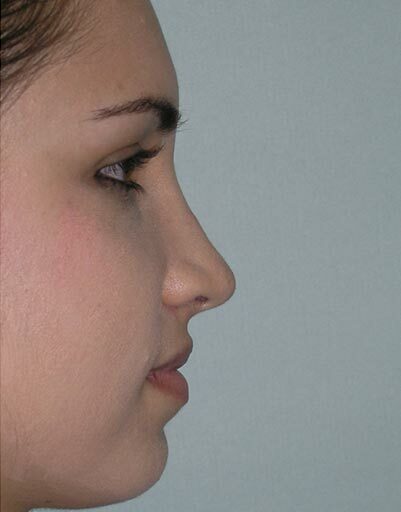 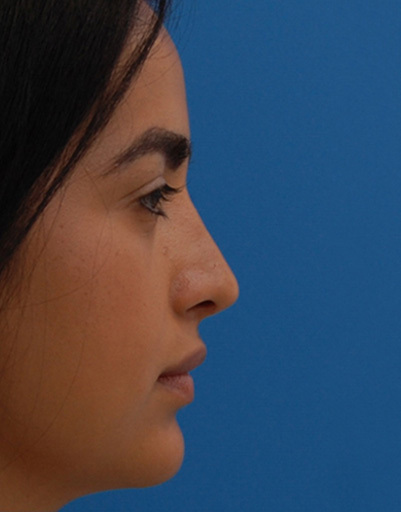 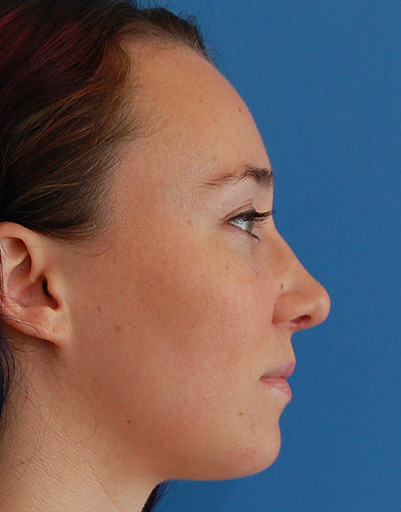 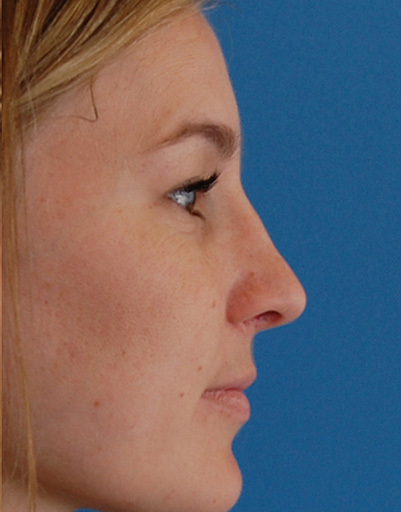 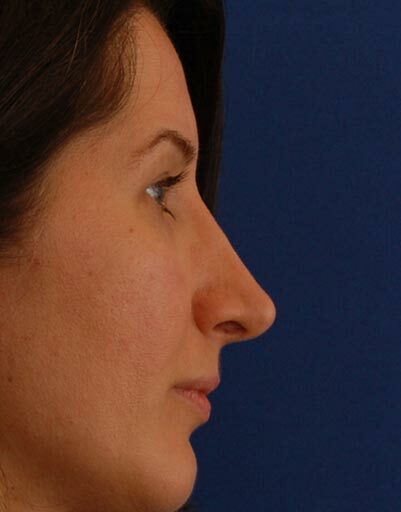 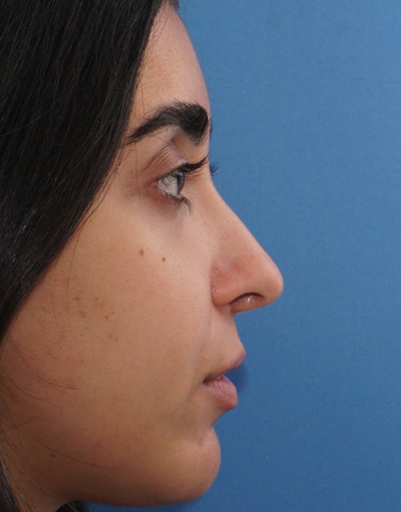 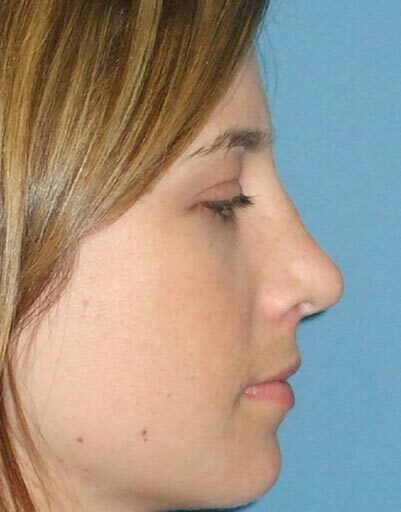 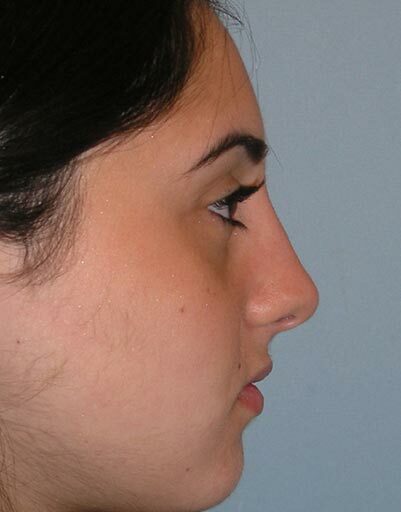 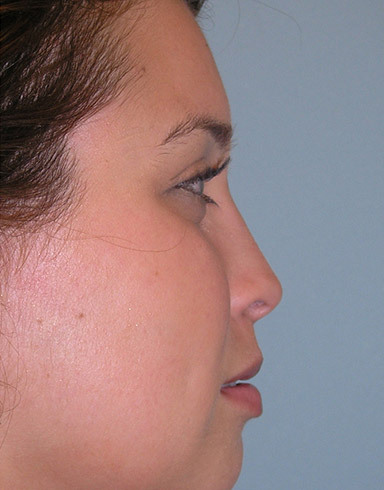 Collapse of the midsection of the nose can also occur if profile reduction is too aggressive. 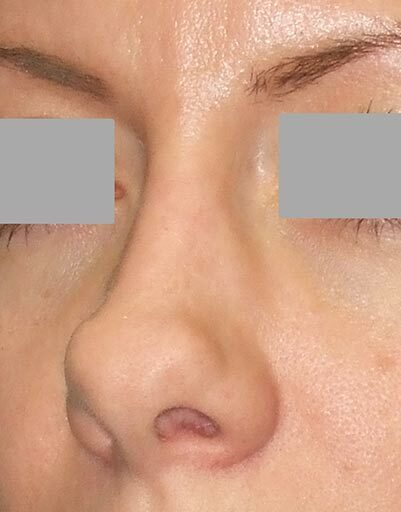 Repair of her nasal tip concerns including derotation, bossae excision, underlay vestibular strut grafts, and a sublobular shield graft was done using a closed approach. 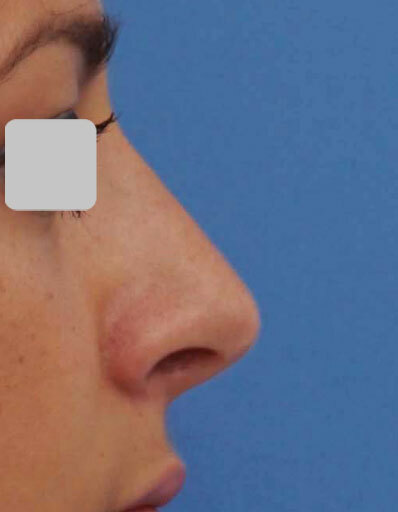 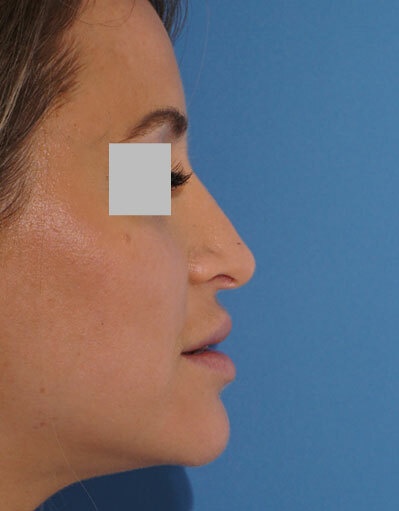 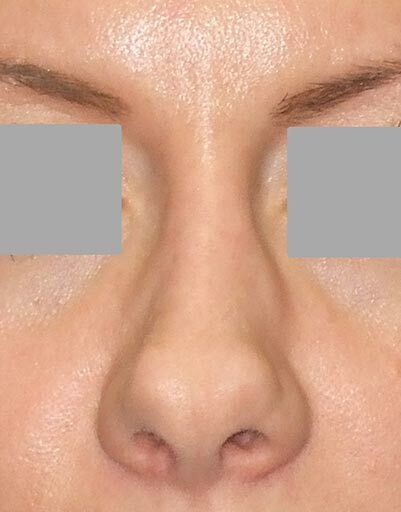 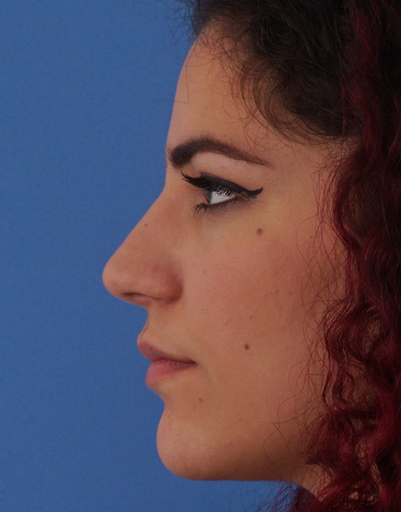 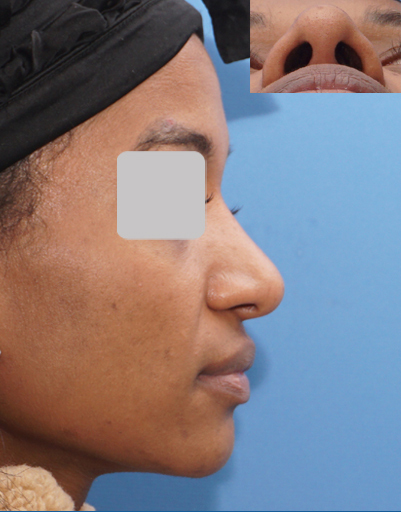 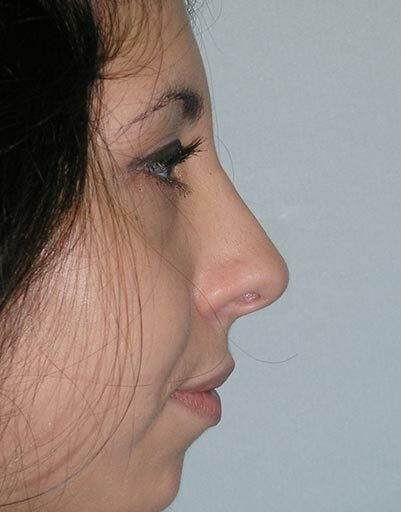 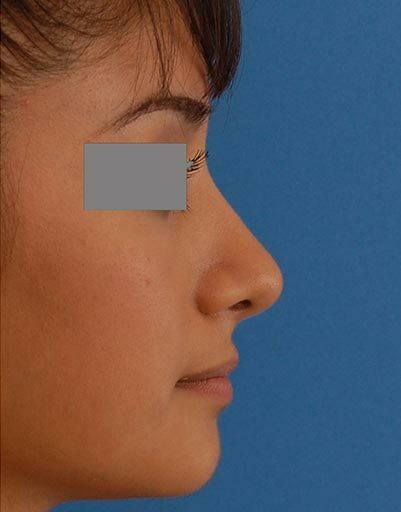 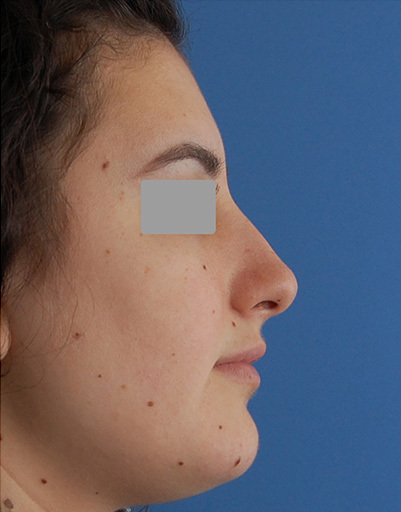 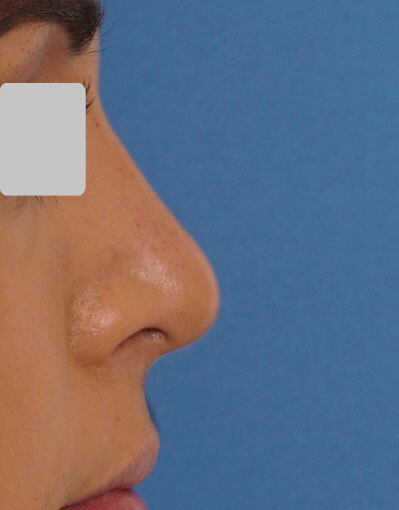 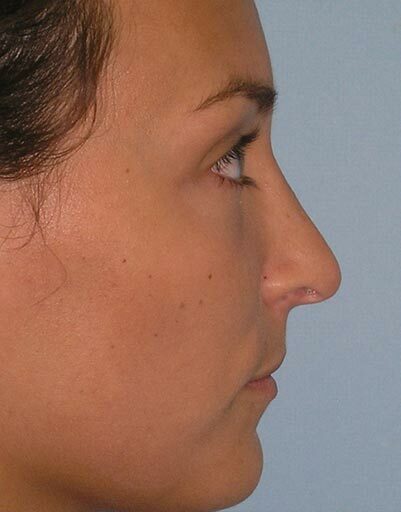 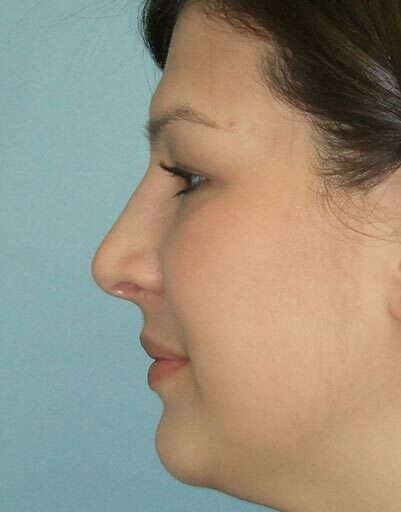 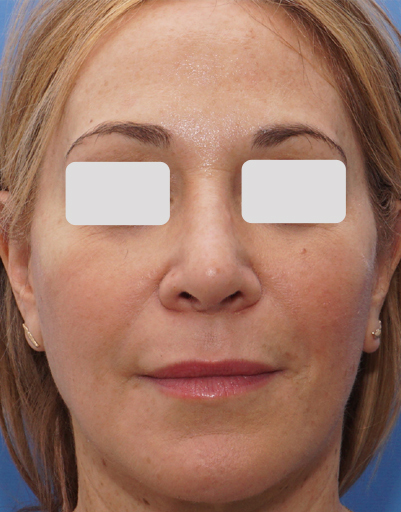 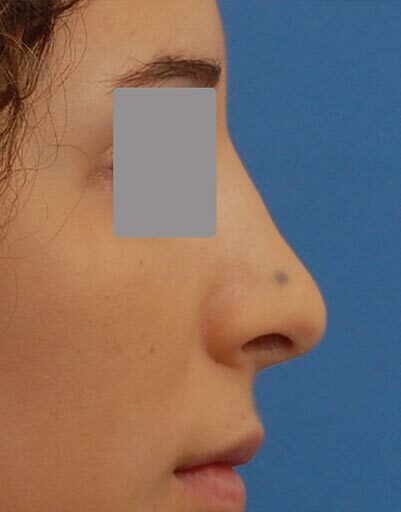 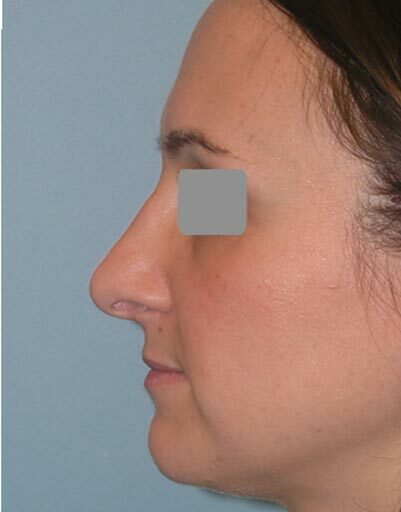 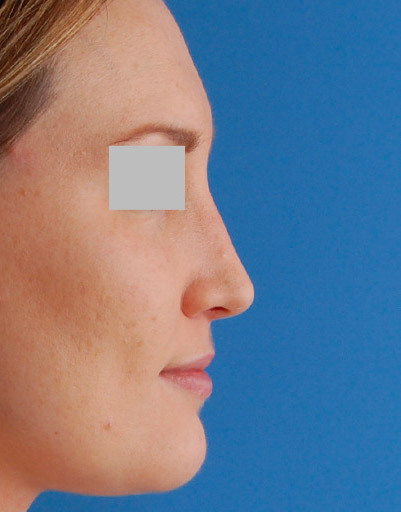 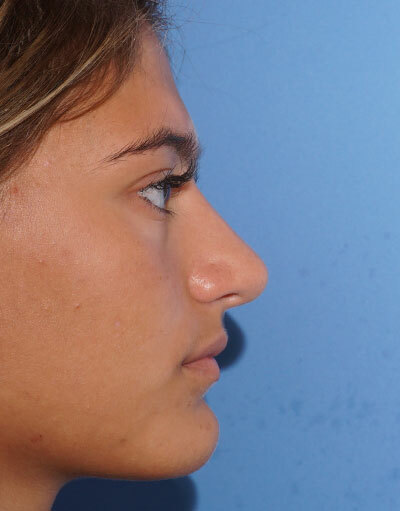 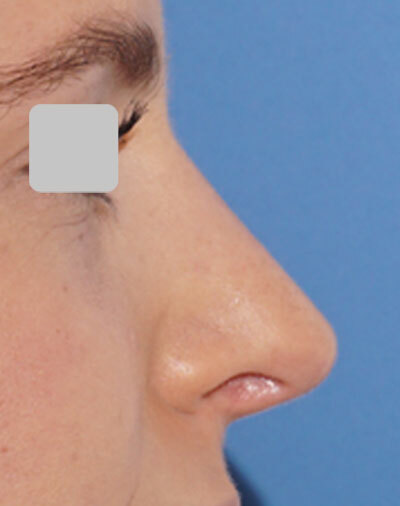 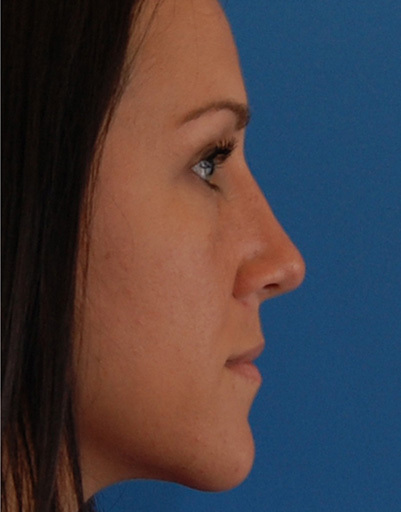 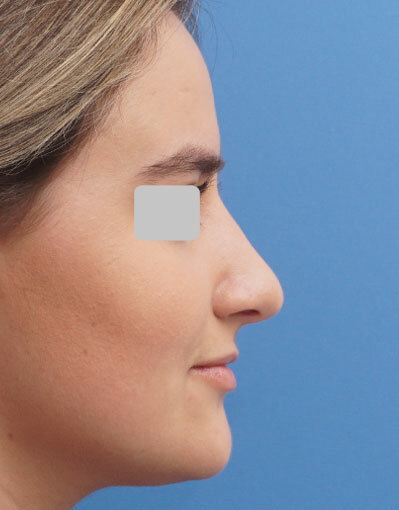 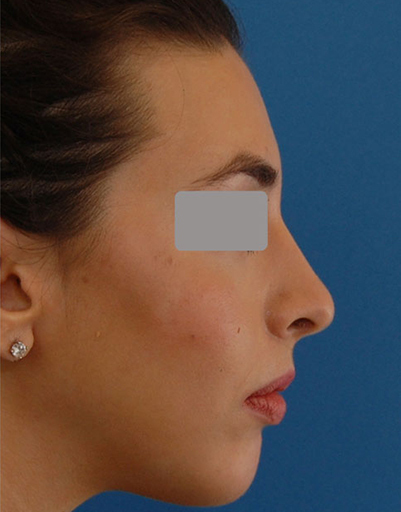 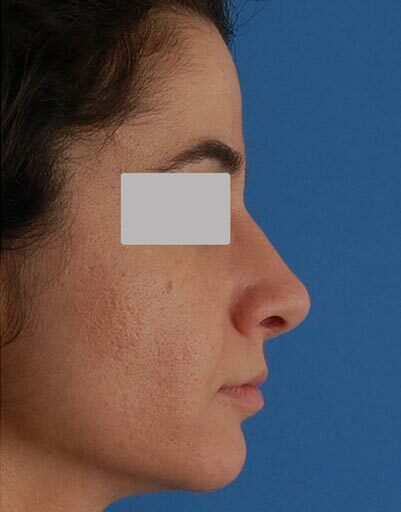 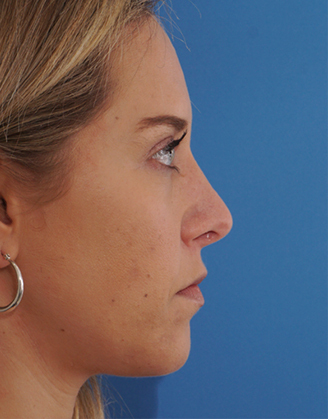 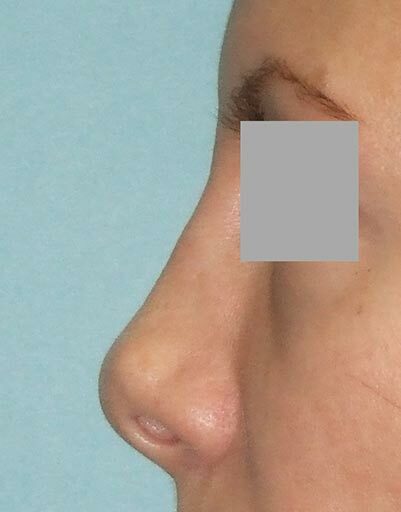 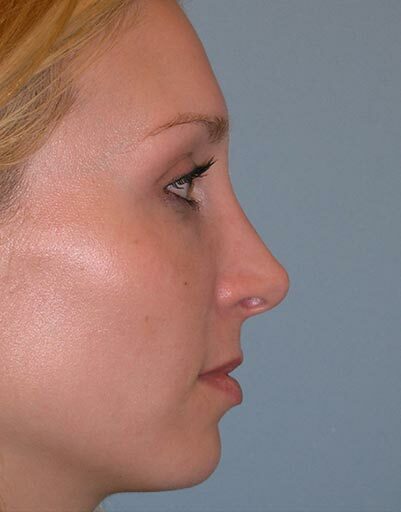 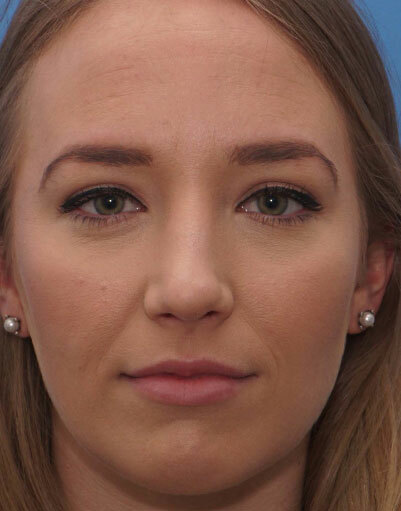 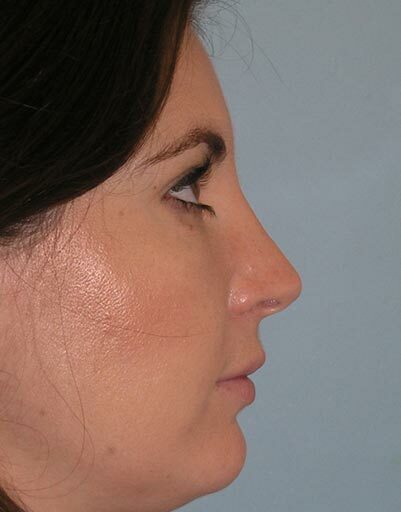 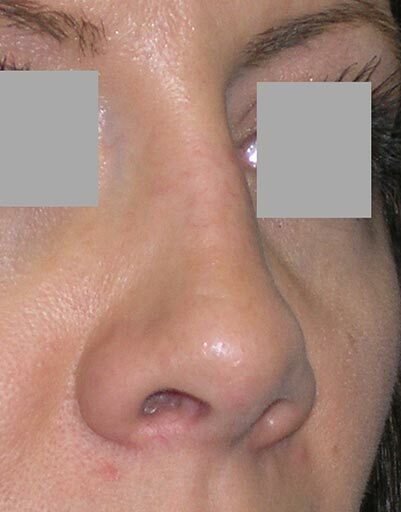 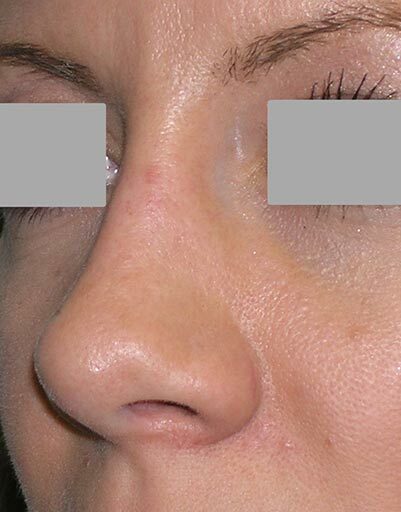 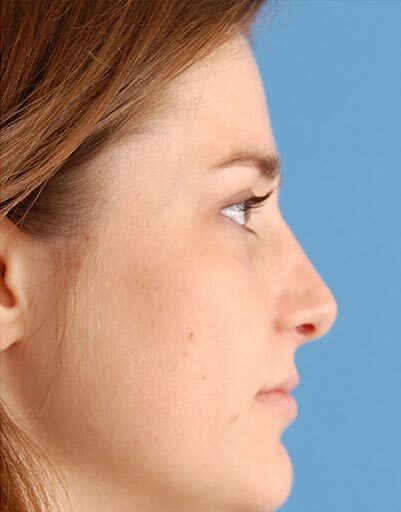 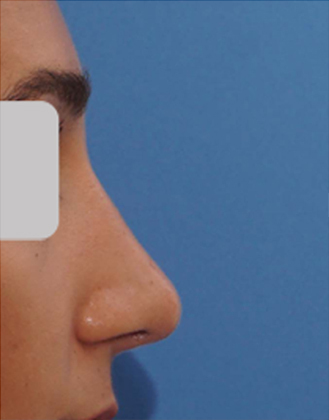 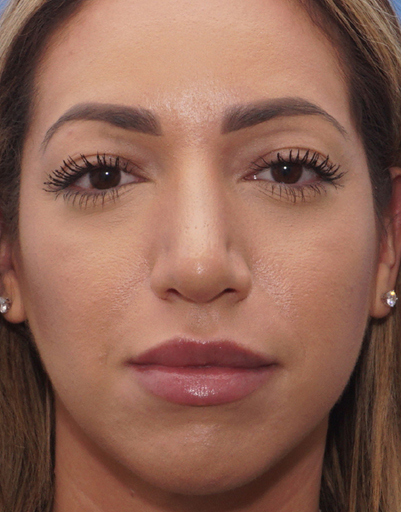 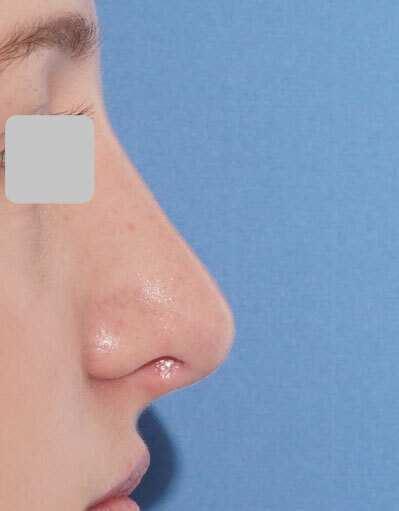 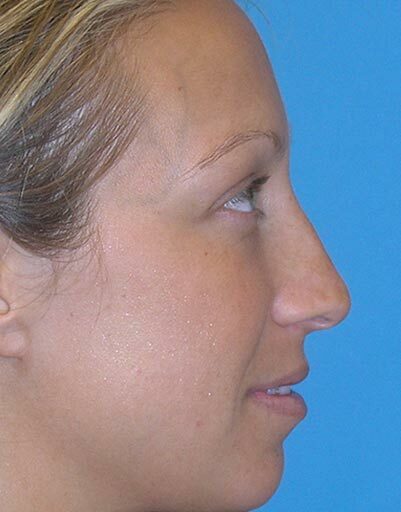 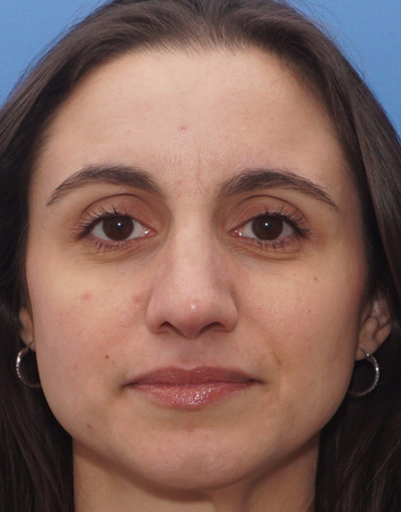 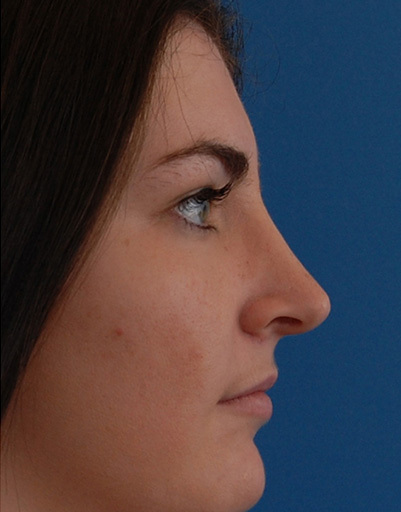 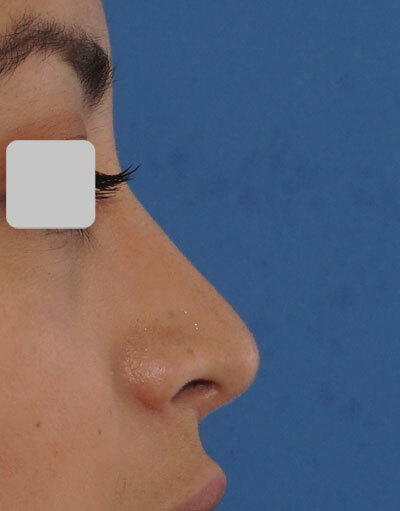 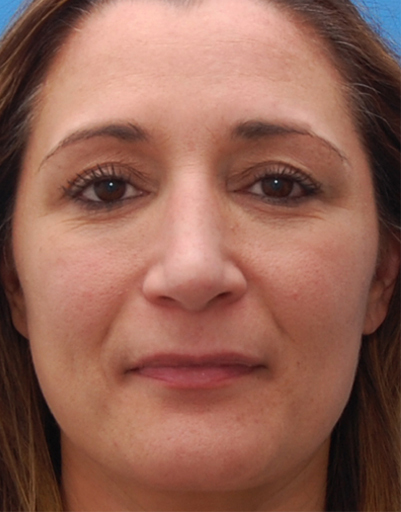 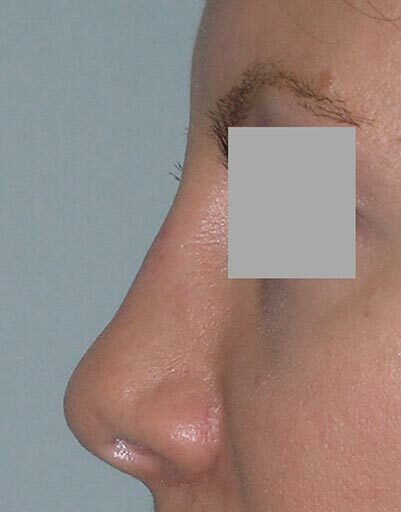 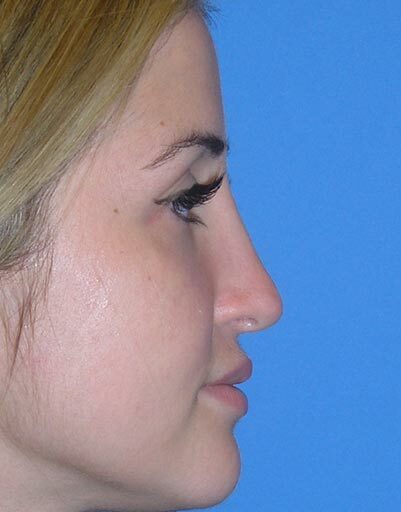 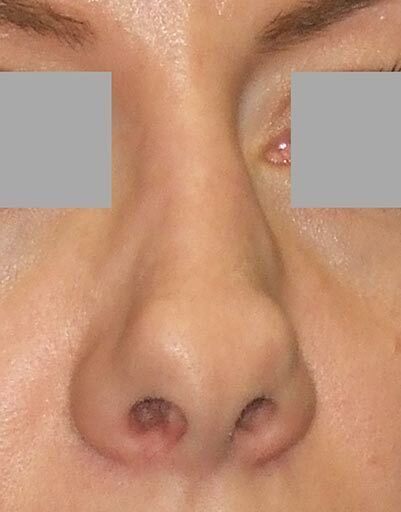 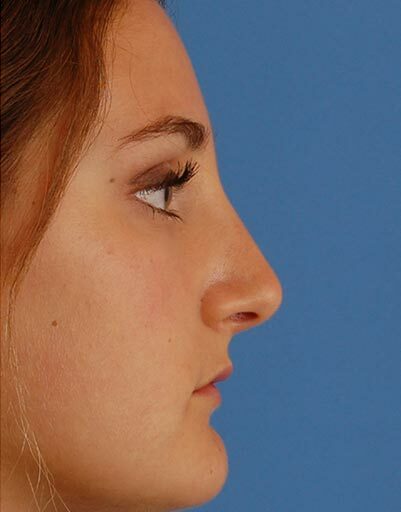 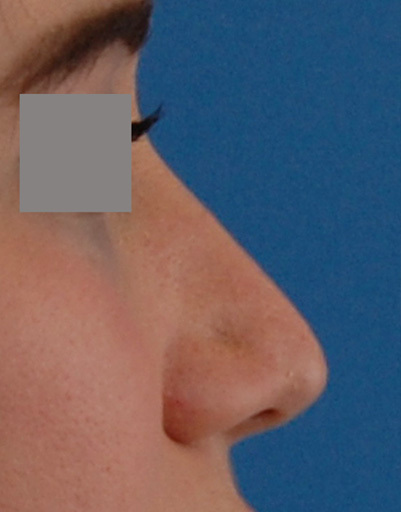 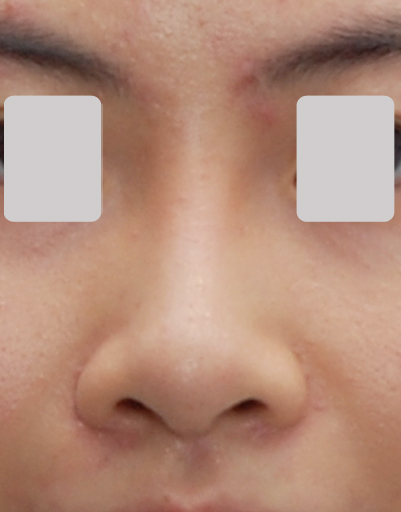 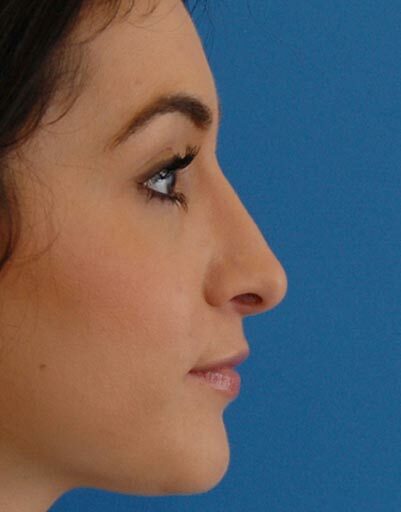 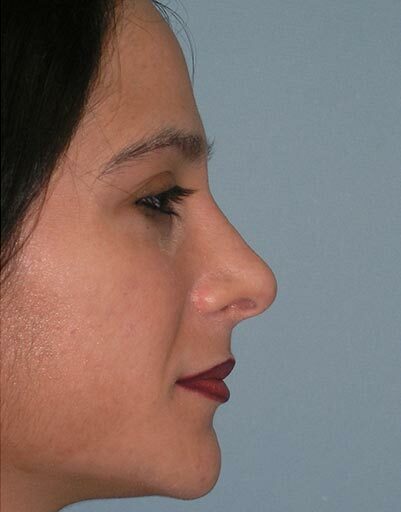 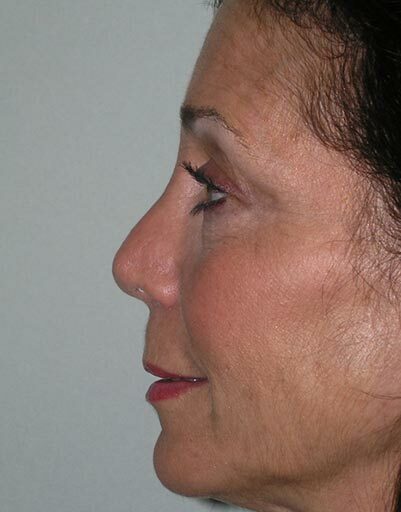 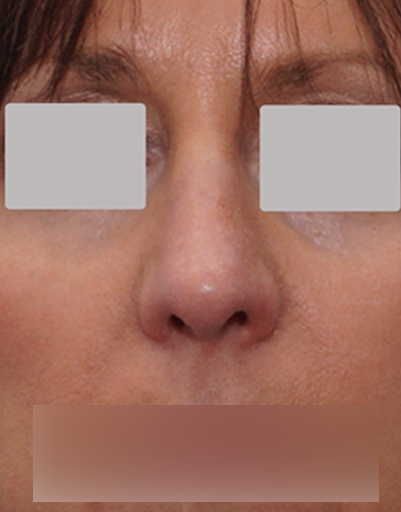 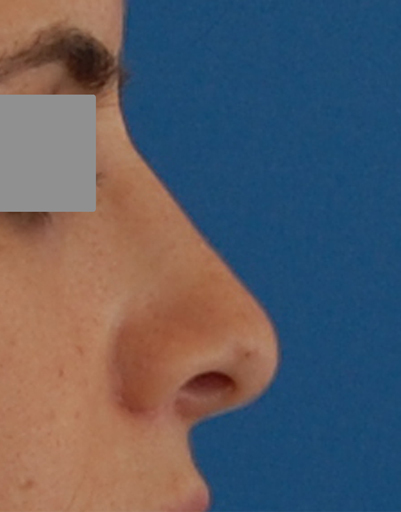 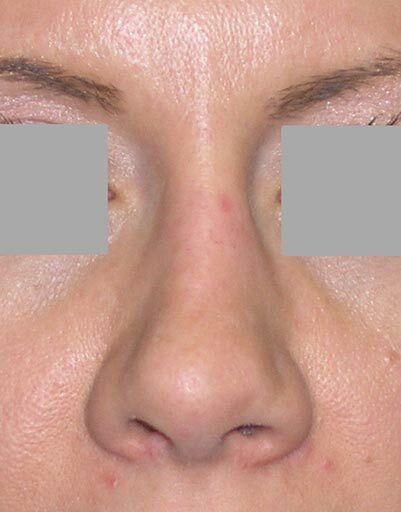 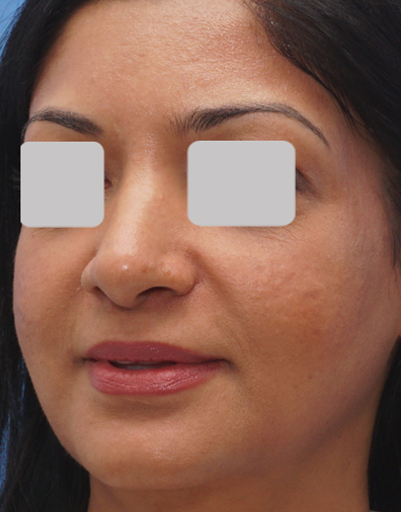 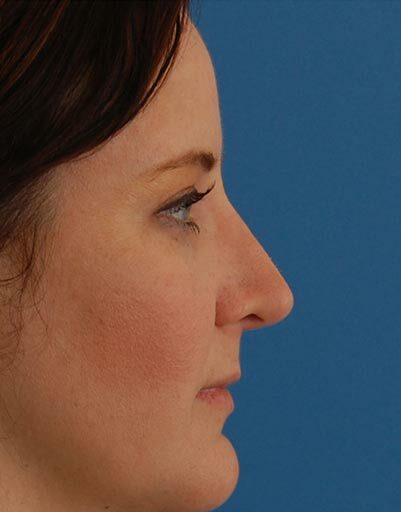 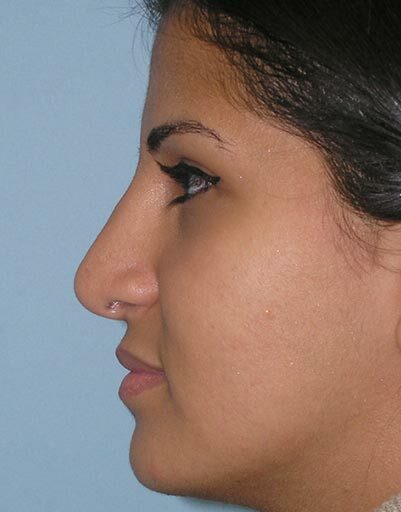 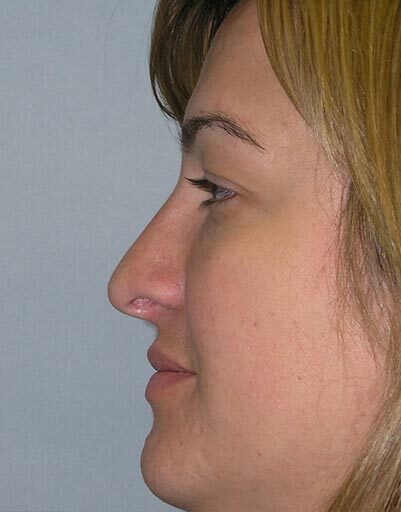 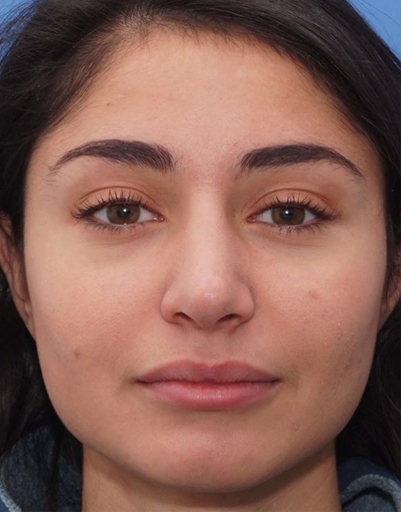 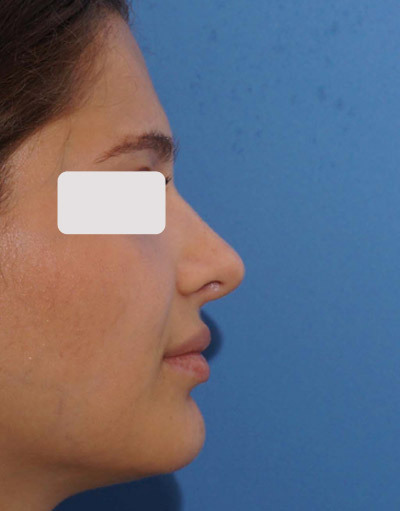 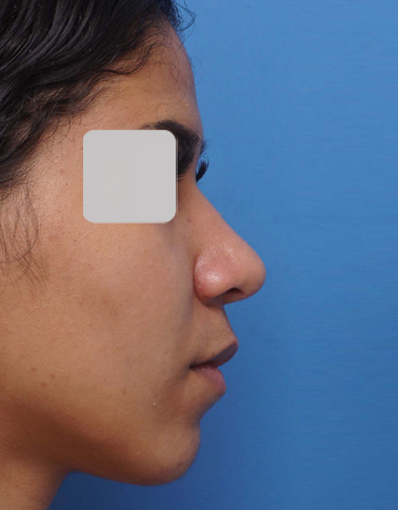 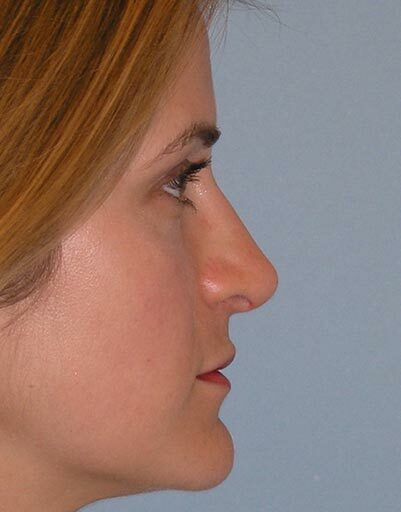 Revision profile-plasty and septoplasty with a left spreader graft provided her with a much more natural and functional nose. 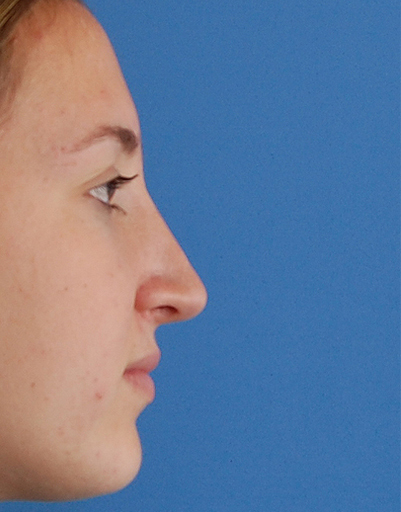 Mrs. P. requested de-identification of her photography.